Dark of Night: The dead rose. We fell. The survivors are trapped in a world of monsters who prey on the helpless. Some of them are zombies...but they are not the only predators who feed on pain and suffering. DARK OF NIGHT is a story of worlds in collision. Three heroes who have survived the apocalypse are in a deadly race to save a busload of children from ravenous zombies and ruthless human scavengers. 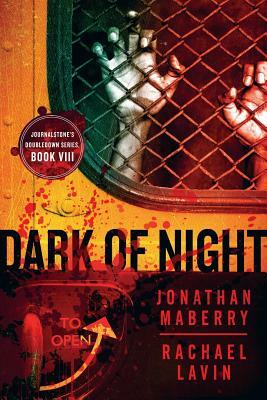 This brand new novella brings together three of New York Times bestseller Jonathan Maberry's award-winning novel series. Captain Joe Ledger (PATIENT ZERO and CODE ZERO), Officer Desdemona Fox (DEAD OF NIGHT and FALL OF NIGHT), and Rachael Elle (BITS & PIECES, a Rot & Ruin novel) are caught between an endless wave of the living dead and an army of corrupt men who want to enslave the last human survivors. Jonathan Maberry teams with debut novelist Rachael Lavin to tell a sweeping story of adventure, horror, and heroism. Flesh and Fire: In the midst of a midlife crisis, Todd is haunted by Chloe, the lover who died not long after their relationship ended. When Chloe escapes Hell in search of the peaceful rest that has eluded her, a demon named Samael is on her trail and she needs Todd's help. While on the run Todd and Chloe face demons real and personal, soul-threatening danger, and their long-buried feelings for each other.